Fig. 6. Transmission electron micrographs of Agrobacterium tumefaciens. (A) Cell having the partially filled acidocalcisome (arrow). 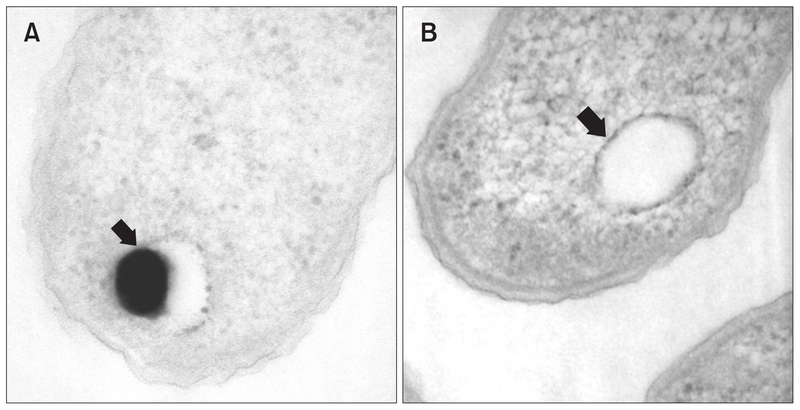 (B) Cell having the empty acidocalcisome (arrow). A and B: from with permission from the publisher.